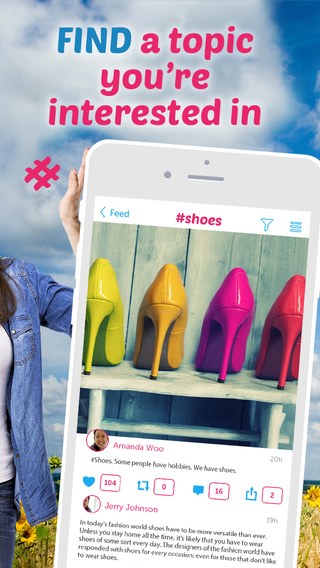 A social networking app for iOS that lets you follow hash-tags, instead of people, BroadTags (short for Broadcasting Hashtags) wants to change the way you use the ubiquitous #. 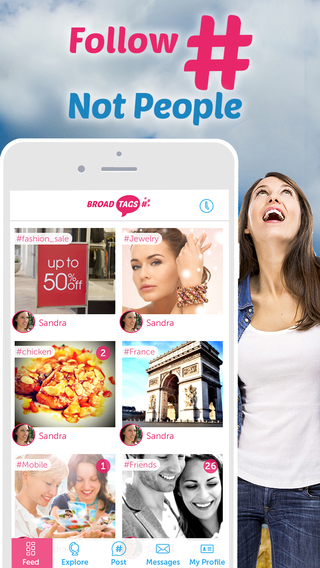 BroadTags aims to create a new kind of social network that takes the focus away from individuals and puts it back on the conversation. You can create your own content and tag it, as well as follow hashtags from other users on topics that are of interest. Registering is easy – just choose from Facebook, Twitter or Email. Once logged in, you can move around the app quickly using the toolbar. Check your feed, explore #tags, create a post, access your messages or your personal profile with just one tap. 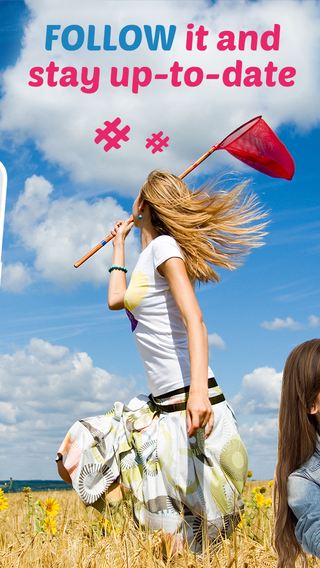 You can search for particular hashtags, like #fashion or #food, or view what’s popular, trending or new. You can also search out users to see what they’re posting. Once you click on a post, you’ll then see that piece of content (photos, video or text) and can then scroll through other posts with that same hashtag. Below each post are social-metrics that include the number of likes, reposts and comments. Creating content is also straightforward – just click the ‘Post’ tab on the toolbar and then select the icon corresponding to the kind of content you want to post: Photo, Video, Text or Link. For images, there’s even built-in filters that you can apply before posting. As with other social networking apps like Facebook or Instagram, you’ll receive notifications from BroadTags when someone likes or comments on your post. Despite the focus being on the hashtags and generating conversation around specific topics, BroadTags still features private messaging so you can chat one-on-one with other users. Bottom line: A new-take on social networking with a focus on the hashtag, BroadTags helps you to aggregate interesting information and find like-minded people. BroadTags requires iOS 6.0 or later. Compatible with iPhone, iPad, and iPod touch.